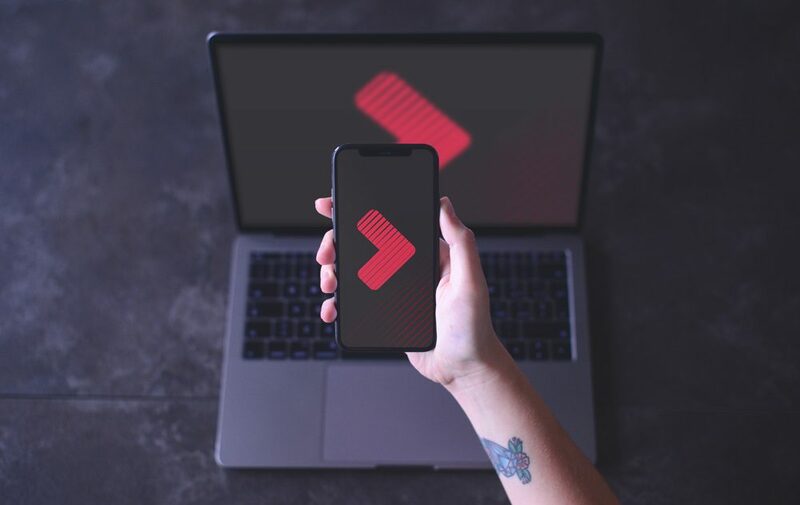 This mockup shows a female hand holding an iPhone X and a MacBook in the background. PSD file with two smart layers (for both diaplays). Dimensions: 6000 x 3700 px at 300 dpi.